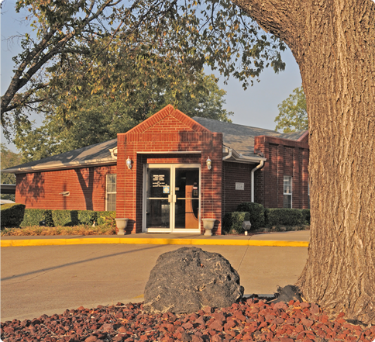 Our practice features a family atmosphere, cutting edge technology, and customized care plans. Montgomery Chiropractic will welcome you into the practice with a big smile and hello from our friendly staff! You will find the atmosphere to be upbeat and positive; we are eager to help you return to your full health potential! Montgomery Chiropractic has entered the cutting edge technology of the 21st Century by becoming one of the first clinics to implement Electronic Health Records. Upon entering the clinic you will play a vital role in creating a quickly accessible, completely legible health record. You will enter your history into our touch screen computers which eliminates the need for paper and speeds the process of your visit. This allows our doctors to have your printed history in their hands within seconds of you completing your input. The staff will also document all of your examination findings, including computerized posture scan, Surface EMG, Thermal Scan and range of motion findings. If X-Rays are necessary, we have integrated the “Posture Ray” marking system which will give the patient not only a written report of their X-rays, but also actual copies of their X-rays complete with geometric markings indicating the normal position of the vertebra and the position of the patient’s spine. Patients often comment that we provide the most detailed examination and report they have ever been provided. This certainly contributes to the high success rate of our patients. On your first visit expect to be greeted by a helpful, friendly staff anxious to assist you. Our modern office still exhibits down home comfort, while being architecturally designed by Dr. Larry Montgomery for the efficient flow of patients. So, while the care is relaxed, it is efficient. You will enter your history and will then be escorted to the examination area where vital signs are obtained. The doctors will discuss all of your past and present history to determine if yours is a chiropractic case. Once the determination is made that you may respond to chiropractic care, the type of examination required will be recommended by the doctors. Both the doctors and staff will participate in this examination process, which may include up to 60 chiropractic, orthopedic and neurologic tests. If X-rays are determined necessary they will be obtained utilizing our new Fuji Digital X-Ray system, which allows for greater sensitivity of the images, making sure the doctors see enhanced detail of the areas involved. Once the history and examination process is completed most patients will be escorted to the front desk to schedule a return visit with the doctor. The average new patient visit is approximately 1 hour and 15 minutes. On your second visit, you will be welcomed into the clinic. The patient will be escorted to the report room where the doctor will discuss your initial examination and X-Ray findings. You will receive a written report of findings, shown your X-Rays and given a detailed explanation of the current state of your body and the amount of potential recovery available. Before any treatment is done you will be given a detailed financial report by a staff member, so you know exactly what it will take in order to get pain relief or correct the problems that you have. You will receive your first treatment on the second visit. The report visit generally takes about 45 minutes. Each following visit averages between 5 to 20 minutes depending on the treatment you need. Get results at Montgomery Chiropractic! If you have been to see other chiropractors in Belton without results contact us today! We’ve helped many Belton families who went from chiropractor to chiropractor and finally found results in our office.